.A call for careful succession planning - key to sustainable business. 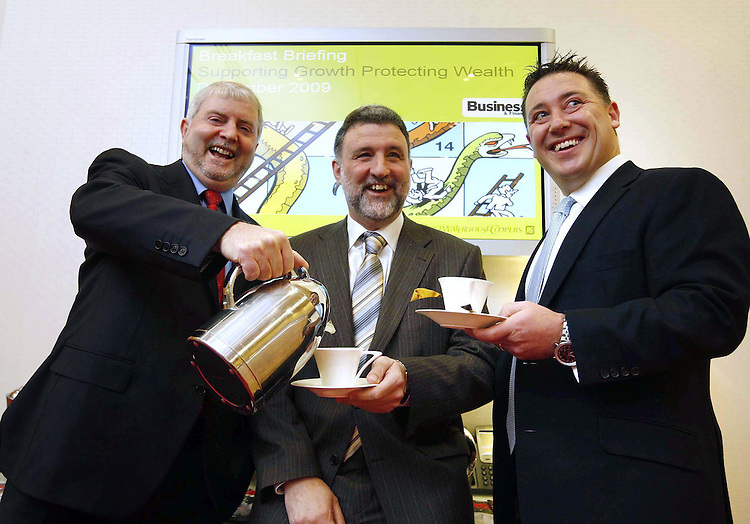 Pictured at the PwC Business and Wealth breakfast are left to right: Dermot Reilly, Business and Wealth Services Partner, PwC; Paul Hennessy, Partner, PwC and Pat Gunne, MD, Green Property. Pic Robbie Reynolds / CPR.